BEAUTY BULLETIN: An overdose of colors! Splashing some colors on your desktop today with these lovely makeup products from Avon, Max Factor and a new local makeup brand, Nicole Cosmetics! 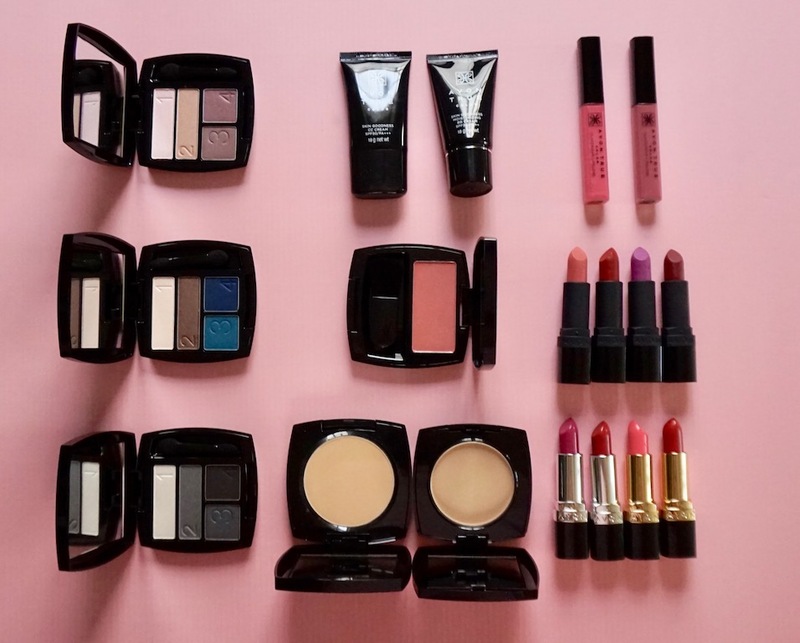 Avon is celebrating 130 years of adding color to women's lives and this celebratory set is inspiring me to create looks! I'm very interested in their new products, CC Powder and CC Cream, Dual Powder Foundation, and the matte lipsticks! Will swatch these very soon! For now, visit AVON PHILIPPINES on Facebook for more information about these products. 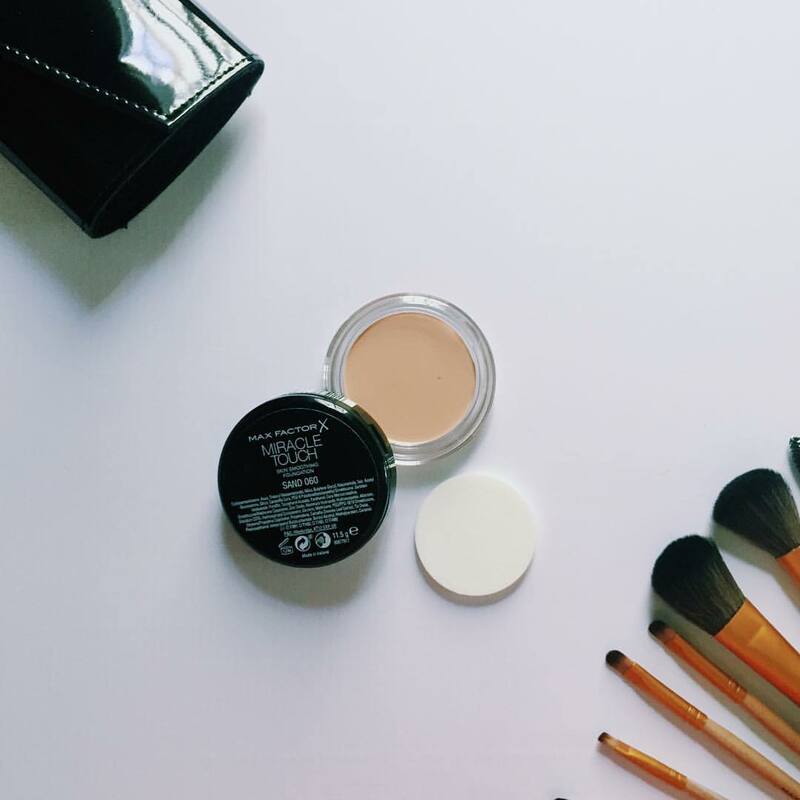 Nicole Cosmetics, the newest player in the local beauty scene prides themselves with makeups made with natural ingredients. 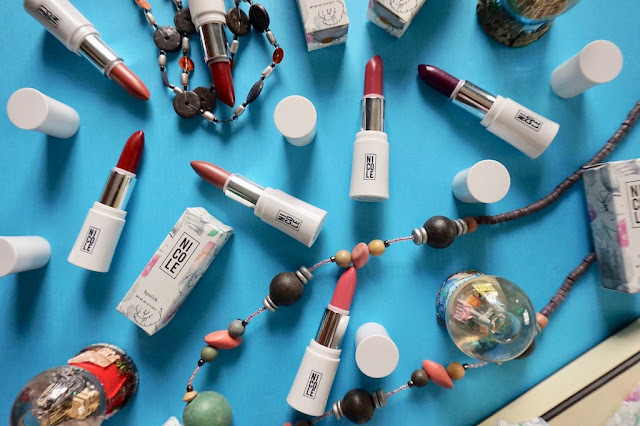 First to launch from their collection are lipsticks made with soothing Shea Butter and come in trendy shades. Just visit NICOLE COSMETICS on Facebook for inquiries and to order. The official foundation of the Victoria's Secret Angels, Max Factor Miracle Touch Foundation, is a heavenly solid to liquid foundation that glides on smoothly and leaves skin with a dewy, pro coverage; it promises to smooth lines, give the appearance of healthy skin, and cover imperfections with its full coverage properties. Miracle Touch Foundation retails at P925.00 and is available in all Max Factor counters and Zalora Philippines. Visit MAX FACTOR PHILIPPINES on Facebook for more details about this product. Among those products it's the Avon Cosmetics are the ones I have tried. I love their mascaras and glimmersticks. I've also tried their oil-control powder and their lipsticks..but not much a fan of it. Although they have great and interesting makeups. Didn't know that max factor foundie is the official makeup of VS Angels! Ugh, I'm obsessed pa naman with their skin and body! Will definitely try this one for sure! Hopefully it will work out fine on me din, dami ko ng foundie sa bahay and I'm still looking for something dewy but will still able to cover my big pores and blemishes, hopefully eto na yun. Hehehe. BTW, it's my first time to heard Nicole Cosmetics. Do they already have kiosk in mall or in an online selling only? :) Have you already tried them na Ms. M? The shades of these lippies looks gorgeous! Yay! Thanks for sharing again these products, will head now to mall to buy the max factor haha. I hope you review the Avon Powder and BB Cream Ms M. I'm most concerned about it's oil control capacity and it's coverage. What strikes me the most is the avon as with the celebration of their anniversary they make the two Darnas, Marian Rivera and Angel Locsin share the same stage for a photoshoot with Meg and it's so beautiful. I can't help but keep on looking at those picture. Strong and feminine! Nicole cosmetics is interesting!! The Max Factor Foundation has reasonable price for a good foundation. I wish I could try that!